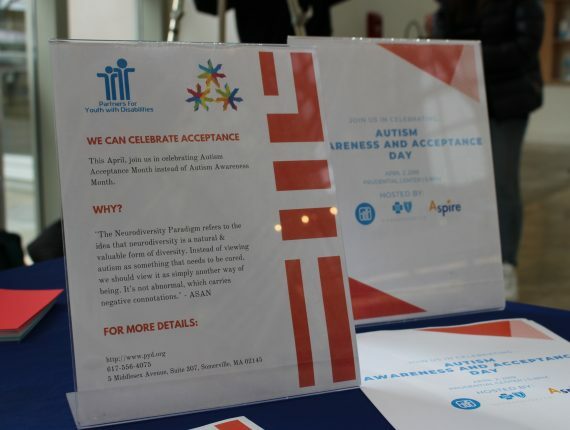 On Tuesday, April 2, Partners for Youth with Disabilities celebrated Autism Awareness and Acceptance Day. 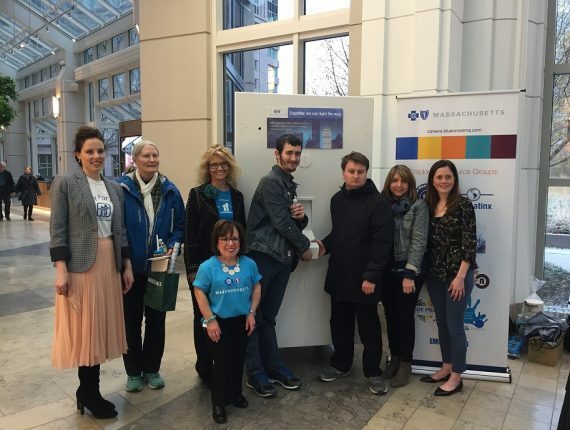 Joined with partners Blue Cross Blue Shield of Massachusetts and MGH Aspire, all three of our teams shed light on accepting people on the autism spectrum. 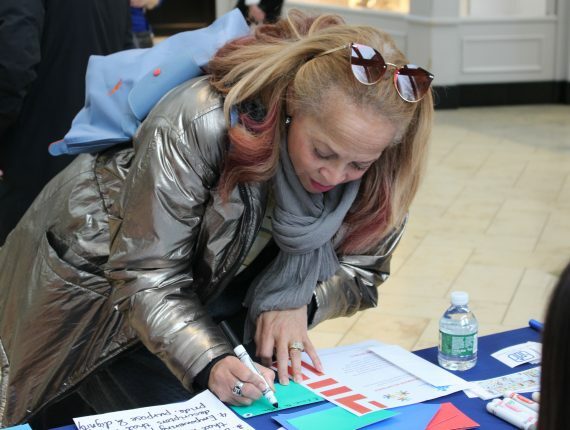 Hosted in the Center Court of the Prudential Center, we prompted passersby to write down things that they love about themselves, draw a photo, or enjoy cupcakes. 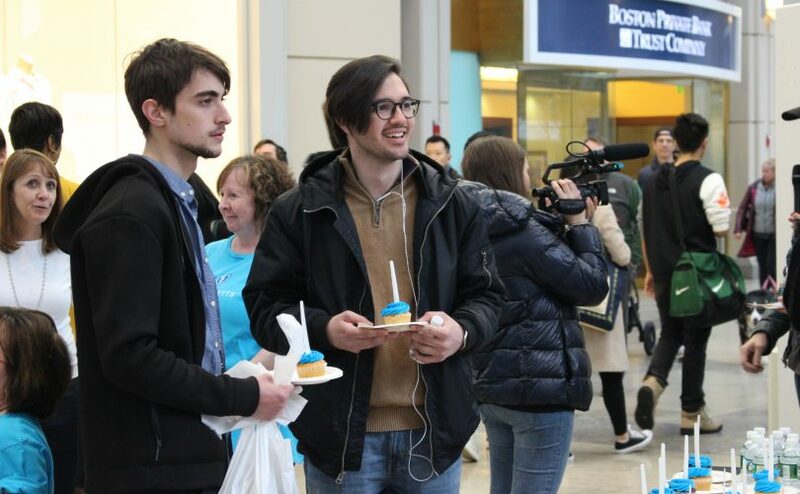 Please find photos from the event below, and stay tuned for a video coming soon. PYD’s Executive Director, Regina Snowden, and Laura Stout, President of the Empowering Abilities ERG at Blue Cross Blue Shield of Massachusetts chatting. We want to thank Blue Cross Blue Shield of MA for hosting us for the event! Our table featured a self-reflection activity. 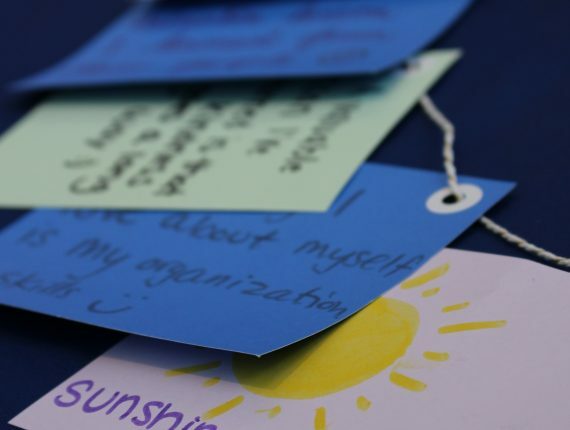 We encouraged people to stop by and write down one thing that they love about themselves, a lesson they have learned from someone, inspiring people or words, or draw something that makes them happy. We want to thank everyone who stopped by to participate and learn about autism acceptance. We also want to thank the Prudential Center, as well as Blue Cross Blue Shield of Massachusetts and MGH Aspire for partnering with PYD on this event!